ISLAMABAD, Jun 23 (APP):At least six terrorists were killed in a successful intelligence based operation carried out by the security forces in village Spina Mela near Ladha, South Wazirstan. The operation was launched on reports of presence of few terrorists who had entered the area morphed into returning temporarily displaced persons (TDPs), said an press release issued by the Inter- Services Public Relations (ISPR). After exchange of heavy fire, six terrorists including high value target terrorist Nanakar involved in killing of local population and Maliks killed. 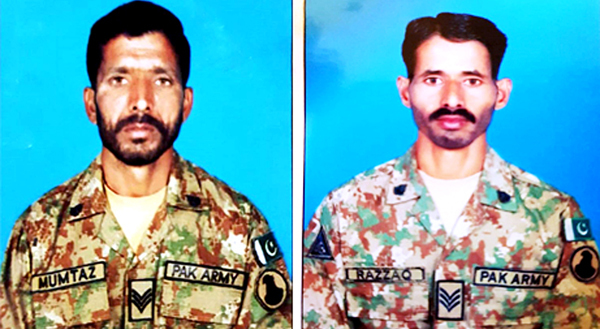 During exchange of fire Havaldar Razzaq Khan and Havaldar Mumtaz Hussain embraced Shahadat. Weapon and ammunition recovered along with communication sets through which terrorists were in communication with their handlers across the border in Afghan Province Paktia.